Glory, Glory Ha La Jolla! Another blog from sunny San Diego. 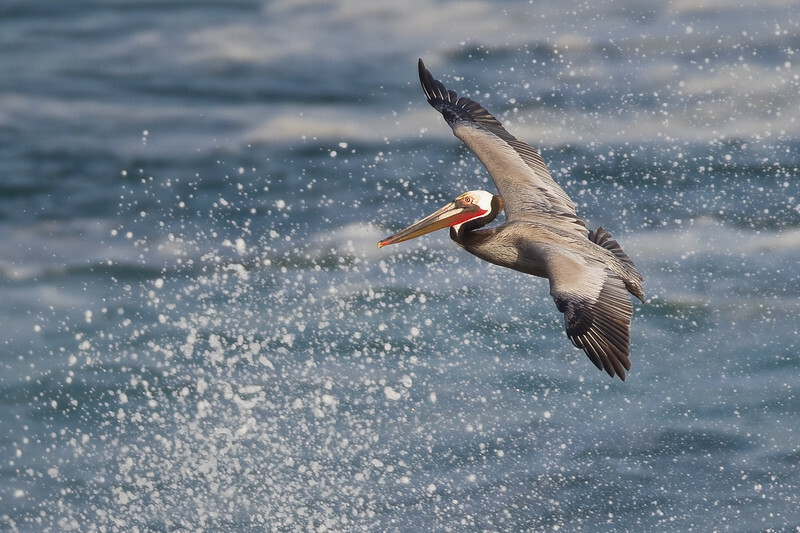 The pelicans of La Jolla are world famous. I knew my trip to San Diego would be incomplete without seeing these beautiful birds up close. They were the sole reason I lugged my 600mm lens down here. 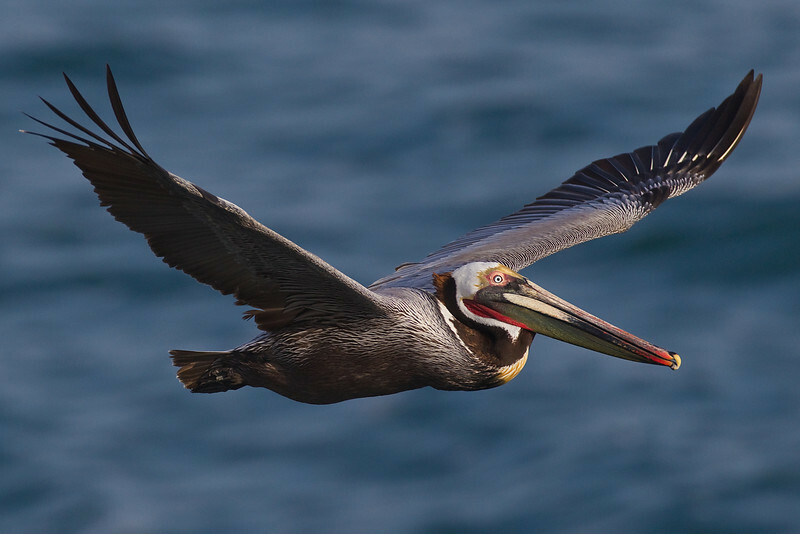 Before the trip, I received a plethora of great advice from other photographers around the web about when and where to photograph the pelicans. 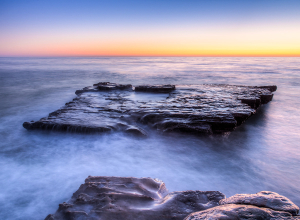 I woke up early and drove down to La Jolla before sunrise. Below you’ll see a Google map of exactly where I was standing when I took these photographs. I set up my tripod and camera/lens gear at one location and enjoyed the show put on by my feathered friends. The early morning hours are best and relatively free of other visitors. If you plan to photograph from the same place I did, I suggest you get there around sunrise. I parked in front of “The Cave Store” which has a few 2-hr parking spots (2 hr parking starts at 8 am, which will give you plenty of time to capture great light). The store is located at the corner of Costal Blvd. and Costal Walk. From the parking area, a dirt foot path leads slightly northeast to a viewing platform. I walked a little beyond the platform, and set up my gear. When I arrived, I had the place all to myself. If fact, I didn’t see another person for at least an hour. If the parking spots infront of The Cave Store are full, there are others along Costal Blvd. If you look closely in the zoomed up view of Google map you can see cars parked along Costal Blvd, just northwest of The Cave Store. I shot for about 1 1/2 hrs and came back refreshed and alert to San Diego to attend the Radiology Conference. Below are a few shots, and if you want to see more, click here. Thanks, Kalpana! Glad you enjoyed the birdies. 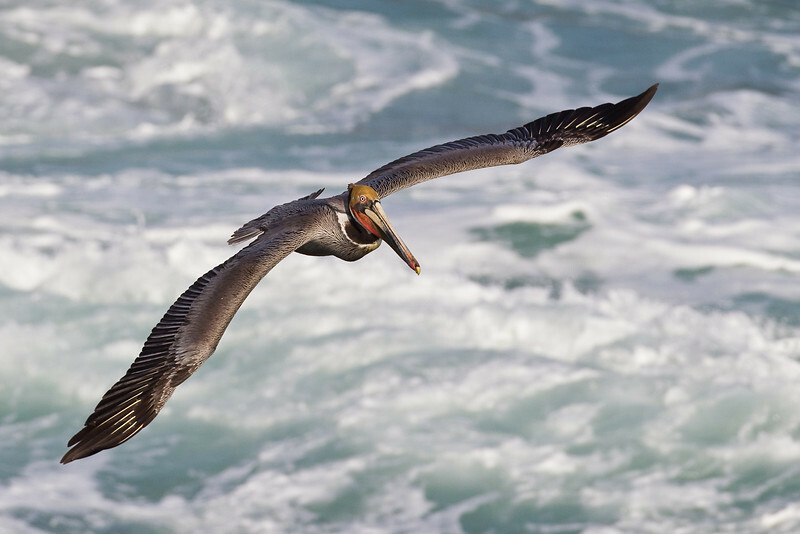 I had no idea pelicans had so many intricate color patterns and I have seen plenty of them. Thanks for being the early bird and passing these along. I can smell the salt air! Rachael, thanks for the comment! 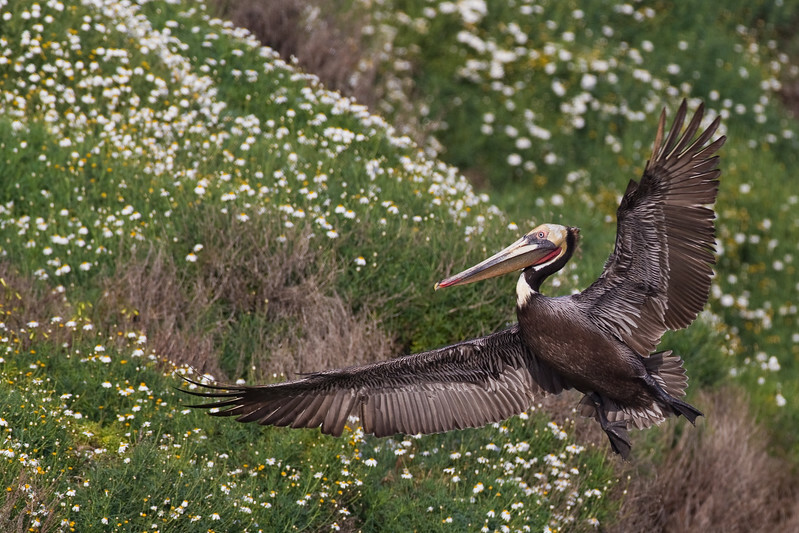 Usually pelicans have drab, bland tones. However, in the winter and early spring months (mating seasons), they display some nice, bright colors. Glad you made it out to La Jolla and Coronado. The pics are awesome! Stan, thanks a ton! Ya, there was no chance I wasn’t gonna use my monster 600mm lens, especially since I lugged it all the way here. Vivek, thanks for the comment, bud! Ya, San Diego is in bloom…what a great time to visit! Thanks, Susan! Thanks for stopping by and commenting. Conrad, that 600 is a bear to carry around, but I can’t get over the quality of the images I’m getting. Every time I think this is just way too heavy a gear to lug around, I just look at the images I’m getting at 100% magnification and I’m floored! Dude, I’m so jealous, that 600 is SO rockin the bird shots!! beautiful spot on pelican shots, the first one is by far my favorite for the dynamic waves, way to go, not easy to catch the in flight when you’re zoomed so far in! Orion, thanks a bunch, bud! I’m currently in SF and didn’t see your comment till now. It was so fun to shoot the pelicans. I had a total blast!